I stamped the pattern using the Bornprettystore christmas stamping plate. This decals are very beautiful and classy and have a great quality. How to use waterdecals ?! Cut in the right shape/size , remove the protection foil, plunge into water for about 20 sec, place on your nails and finish with topcoat. I also received some very beautiful transparant flower rings to review from Harunouta . 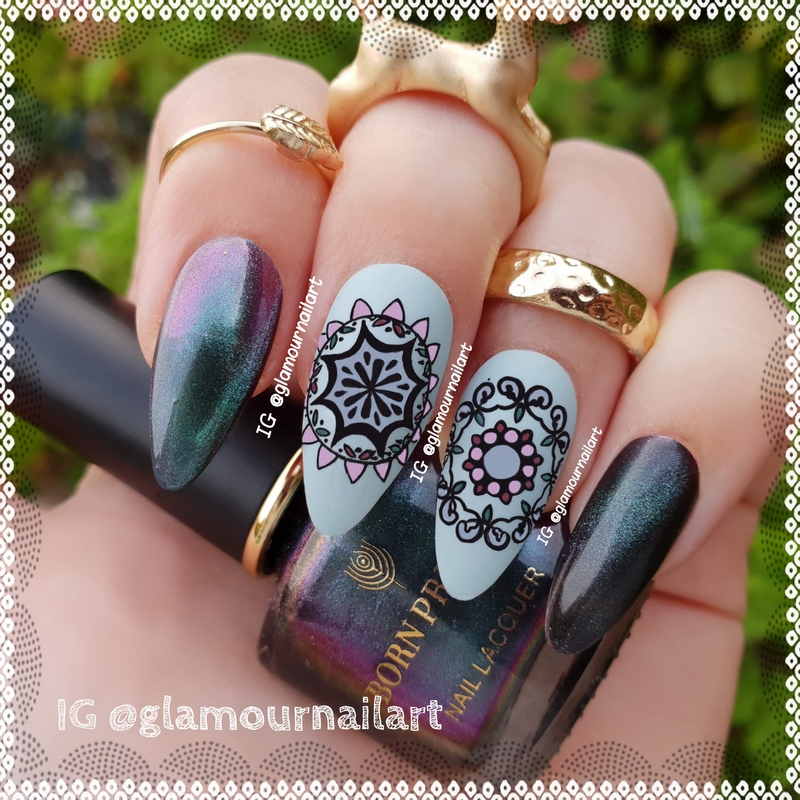 This midi rings are so cool, you can paint them in any color you want or place a waterdecal on it, like I did on this picture.